Deadpool is one of the best mercenaries on the planet. He may even be a passable Avenger - the jury's still out. But one fact is certain: He's a terrible leader. He's taken on a high-paying mission to take out radioactive super villains - including Negasonic Teenage Warhead and the Radioactive Man! But his employees aren't nearly as immune to radiation as he is. If he isn't careful, the Mercs for Money will be revolting! Which would leave a vacuum to be filled by...the All-New Mercs for Money! You'll go bananas for them, and not just because they have an ape and a monkey! But why is Domino in charge? Isn't Deadpool's name on the cover? Wade's not going to like this... 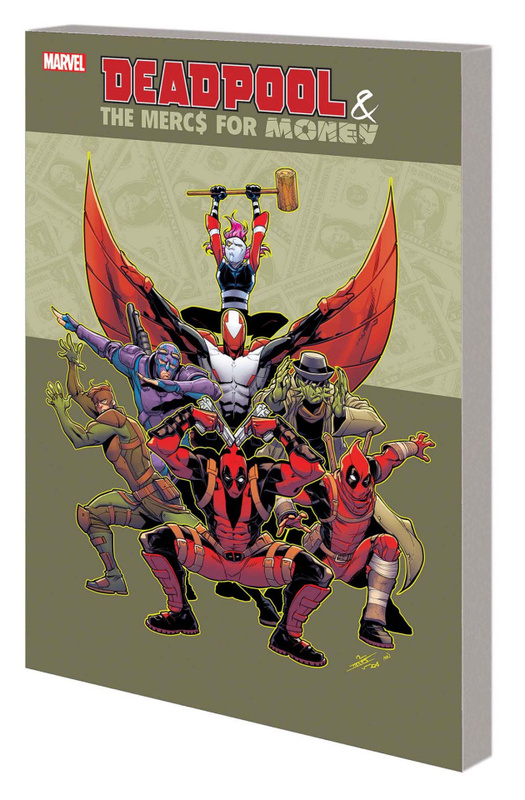 Collecting DEADPOOL & THE MERCS FOR MONEY (2016B) #1-5.